TransCanada had announced start up dates for the southern section of Keystone XL for January 3rd, then changed that to mid to late January, then announced startup began on Saturday, December 7th. Following reports of hundreds of flaws that could lead to spills in the southern segment of the Keystone XL, Texas residents and environmentalists today called for the Pipeline and Hazardous Materials Safety Administration (PHMSA) to halt the start-up of the pipeline. According to media reports, on Saturday, TransCanada started pumping oil through Keystone XL’s southern leg, which runs nearly 500 miles from Oklahoma to the Texas coast. “Pumping highly toxic tar sands crude through that line is an irresponsible act that shows a complete disregard for both public and environmental safety,” said Tom “Smitty” Smith, director of Public Citizen’s Texas office. In two September warning letters to TransCanada, PHMSA identified hundreds of problems with the pipeline. In one of the letters, PHMSA said that nearly 50 percent of the welds – 205 out of 425 – in a single section of the southern segment needed repairs. In another letter, PHMSA said 98 sites were excavated because of other problems with the pipe, and rocky backfill used around the pipeline may have caused dents found in the pipe. In its own study, Public Citizen documented that TransCanada had undertaken 125 excavations for possible “anomalies,” welds, dents and other problems that could lead to leaks and spills. PHMSA’s Freedom of Information Act (FOIA) office has not yet provided records in response to multiple requests for information about those flaws and any attempts to correct them, but it did not meet the requests before the weekend pipeline startup. In an email to Public Citizen, PHMSA FOIA office said it would take weeks to process Public Citizen’s request. The southern segment crosses 631 streams and rivers in Texas alone, and it is located within miles of many cities and towns. Public Citizen twice asked Congress to urge PMHSA to make sure that the flaws had been corrected and conduct other inspections to ensure that the pipeline is safe. “Now is the time for Congress to act before commercial operations begin,” said Smith. The Keystone XL pipeline is embroiled in controversy from coast to coast. Environmentalists are rallied by its giant carbon footprint, the damage caused by spills, and the destruction of Canada’s boreal forests. Meanwhile, landowners are being forced to give up their property rights and cope with unacceptable safety issues. More than thirty Texas waterways will be threatened by Keystone XL pipeline spills. Tar sand is very difficult to clean up, especially in water. And, Keystone XL is not required to pay the standard eight cents per barrel tax into the Oil Spill Liability Trust Fund, which means the cost to clean up any spills along the pipeline could become the tax burden of U.S. Citizens. When tar sand comes into contact with water it begins to separate, leaving the heaviest, thickest product on the bottom. Meanwhile, benzene and other airborne toxins are lifted to the surface of the water and evaporate into the atmosphere, directly threatening human life. Landowners in Texas have been confronted with having a tar sand pipeline cross their farms and ranches. Ranchers and farmers have no choice where the pipeline lays down on their property. The easement around the pipe is fifty feet wide, and there will be a kill zone around and under the pipe due to its temperature, which may exceed 158 degrees F. A running pressure of 1,600 pounds per square inch introduces the possibility of a stream with enough force to cut a person in two should a small rupture in the pipe occur. But, problems with the pipeline do not stop at inherent danger. The land owners are given a choice of payment for the easement, which requires them to pay taxes on the land under the pipe or, they can have the easement condemned, which leaves them without the right to use that property. In truth, the land owners have no option when companies such as Keystone XL decide that a pipeline should cross their property, except to deal with the risks, or leave. Over 260,000 Americans have told the State Department that they do not want the Keystone XL Tar Sands pipeline to receive a permit. After two recent spills (and averaging one a month) on the 1 year old Keystone pipeline (Keystone XL would extend that pipeline into Texas) it seems obvious that Americans are waking up to just how bad this project is. Check out KETK for their recent story on the spill and overview of the project. The State Department will decide soon on whether or not to grant this project the necessary “presidential permit” it needs for construction from Canada down through the central US. The future of energy lies in renewable energy – and that is where we should be investing in new infrastructure. This pipeline takes us in exactly the opposite direction towards a dirtier and more destructive fossil fuel. Contact your congressman and ask them to pressure the White House and State Department not to grant this permit. How Many Tar Sands Pipeline Spills Does Texas Want? For over a year, TransCanada has been trying to get its hands on a Presidential Permit from the U.S. Department of State to extend its Keystone I tar sands pipeline with a pipeline called Keystone XL. That extension would start in Alberta, Canada, link on to Keystone I in the Midwest and attach on its Southern end in Oklahoma before it heads through Texas and ends at Gulf Coast refineries. During this same year, though, TransCanada’s Keystone I line has been leaking at an alarming rate. It’s a fact that tar sands pipelines leak at 16 times more per mile due to internal corrosion, and something that has long been a concern of citizens opposed to the Keystone XL line slated to come through Texas. Today, though, TransCanada’s inability to operate Keystone I without averaging less leaks than one per month has finally gotten to the Department of Transportation (DOT) and United States Pipeline and Hazardous Materials Safety Administration (PHMSA) who today issued an order of corrective action against TransCanada. 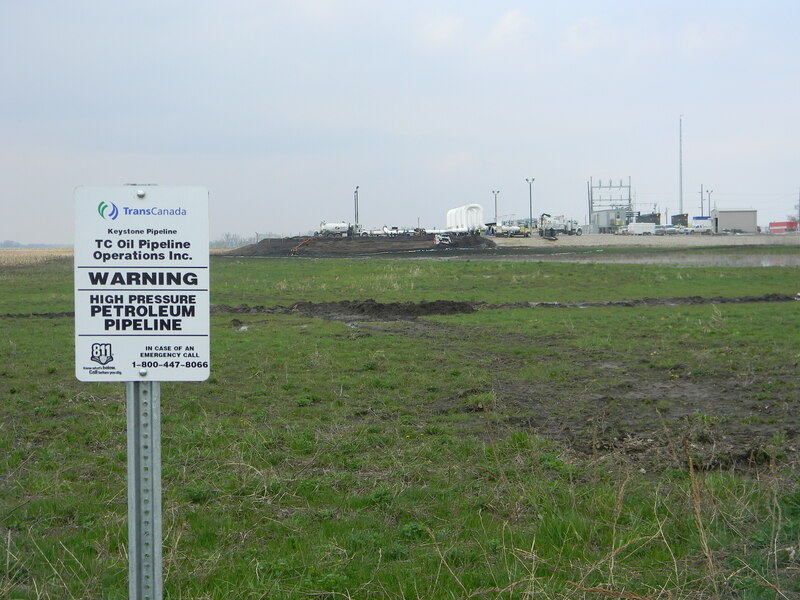 TransCanada’s Keystone I line sprung its twelfth leak in nearly twelve months last weekend in Kansas to the tune of 2,100 gallons, only two weeks after a 21,000 gallon leak in North Dakota and ten other smaller leaks. This corrective order from PHMSA comes just three days before the 45-day comment period on Keystone XL’s Supplemental Draft Environmental Impact Statement (SDEIS) ends on Monday, June 6th. To make comments on the Draft Environmental Impact Statement, you can visit http://www.keystonepipeline-xl.state.gov/clientsite/keystonexl.nsf?Open or contact STOP at [email protected] or 409.550.7961 for more information. 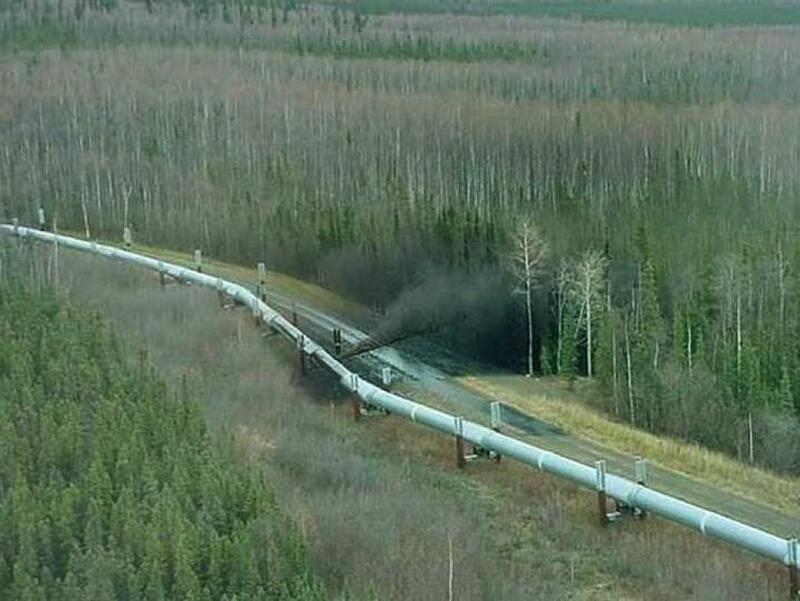 On Saturday, May 7 the Keystone pipeline had a major rupture and spill near Cogswell, North Dakota spewing 500 barrels of oil in a geyser twice the height of the surrounding trees (about 60 feet). This pipeline is owned by TransCanada, the same company proposing to build the Keystone XL pipeline (an extension of the Keystone pipeline) down through Oklahoma and Texas. Here is a video from WDAY Channel 6 out of Fargo, North Dakota covering the spill. The pipeline spill was the lead story. What this video doesn’t cover is that this was not ordinary crude oil, but rather a far more toxic and dangerous substance called “tar sands” oil, mined in the vast tar sands strip mines in Alberta, Canada. It should also be remembered that this pipeline is only a year old (more or less brand new) and has already had 10 other “small” spills. Such a deplorable record should be sending off massive alarm bells for the expansion project proposed for Texas. TransCanada is a private, foreign (Canadian) company which has been granted, for some reason, powers of eminent domain throughout the US – including Texas. This company has been using the threat of this power to bully landowners into signing contracts they do not want to sign. The permit for their expansion project, the Keystone XL, is still pending at the State Department. In light of this recent spill there is no way the state department should consider granting this irresponsible and reckless company the ability to further endanger the lives and well-being of Texans and US citizens. Meet Audrey and Jim Thornton, two of the landowners who have the threat of a Canadian tarsands pipeline proposed to run through their land. Tarsands crude is many times more concentrated with toxins and carcinogens than typical, Texas, crude oil. Like just about every other land-owner along the pipeline route, the Thorntons have been threatened with eminent domain if they do not sign a deal with TransCanada – the company building the pipeline. Like most people, the Thorntons don’t think it is right that a foreign company can come into the United States (and Texas) and use the threat of eminent domain to force landowners into a contract. And, like many others, the Thorntons have quickly learned the vast extent of the negative impacts such a pipeline would have not only on folks like them, but the world in general. Check out our previous posts on the Canadian Tar Sands Pipeline including this one. Tar sands oil makes conventional oil look clean by comparison, as it produces 3.2-4.5 times more the carbon footprint than conventional fuel. If that weren’t bad enough cleaner fuels such as natural gas, which otherwise might be used to generate electricity, are wasted in the process of creating more dirty energy from tar sands. Tar sands oil is a type of bitumen deposited in a semi solid form whose extraction is an extremely energy intensive project. For every third barrel of oil extracted one has effectively been consumed by the process. 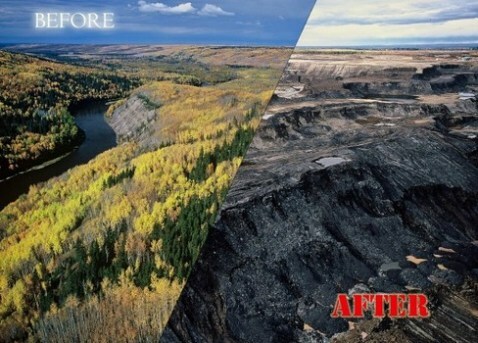 The process of tar sands oil extraction has left vast tracts of land barren with little vegetation as it is strip mined; while only 10%, of what is excavated, is oil. While some water is recyclable, the remaining toxic water is diverted to the euphemistically named “tailing ponds”. There are 2.5-4 barrels of water dumped into these toxic lakes for every barrel of oil extracted. These toxic “ponds” are actually very large; some are even visible from space. Needless to say these pools are quite harmful to surrounding ecosystems as well as ground water supplies. The land left behind from tar sands extraction is a barren wasteland lacking vegetation and dotted with these toxic waste pools. Not only is the devastation comprehensive, it is widespread. Tar sands extraction in Alberta, Canada is set to affect an area the size of Florida. Pipelines bringing this dirty oil to the United States have already been built, but TransCanada, an extractor of tar sands oil, has proposed to expand the pipeline system. Part of the proposed expansion will link to a current pipeline in Oklahoma and extend it into East Texas and the Houston Bay Area so that it might be refined there. These refineries will require expensive additions to handle this heavy crude. The planned route crosses through Texas and Oklahoma over rivers, through national forests, and across private land. Landowners have been threatened with eminent domain if they do not comply with Keystone’s demands. Keystone XL clearly places finance over environmental safety as they applied for (then temporarily withdrew) an application for exemptions to the rules that would allow them to make the pipe thinner in rural areas and yet pump at above currently permissible levels. However, they may reapply for this “special permit” later as they seek lower costs at the expense of the public. We cannot allow this to happen. The social costs of tar sands oil production is far too high and the benefits far too small. The expansion of this extremely dirty energy undermines what progress has been made in cleaning America’s energy consumption. While we should be cultivating clean energy production, the dirtiest energy production is being expanded. Keystone XL needs a presidential permit to build this international pipeline. This is a point of vulnerability. Throughout the summer Public Citizen has been organizing individuals and groups to attend various meetings, hearings, and conferences. The U.S. State Department has held public hearings on its Draft EIS and we have urged others to take the opportunity to raise their voice. Our efforts at getting such groups together continue as we move further down the proposed pipeline into the Houston area, reactivating allies and making new ones as we work together to stop a pipeline that is proposed to travel near sensitive areas such as the Big Thicket National Preserve. This pipeline only adds to Texas’ clean air problems and by stopping it in Texas we can change the momentum on a rapidly growing dirty industry. Future infrastructure development should be dedicated to renewable, clean energy – not dirtier energy than what we already have. Dirtiest Oil in the World to be Refined in Texas? The blast near Darrouzett, just south of the Oklahoma border, was the second fatal natural gas explosion in Texas in as many days. On Monday, a worker was killed when a utility crew accidentally hit and ruptured a natural gas line in rural Johnson County, about 30 miles south of Fort Worth. Tuesday’s blast involved a crew that was removing clay for a dirt-contracting company, Lipscomb County Sheriff James Robertson said in a news release. The explosion happened when a bulldozer struck a pipeline. Three other workers were injured. One was taken by helicopter to a hospital in Oklahoma City. Two others escaped with injuries that were not considered life-threatening. The utility crew involved in Monday’s explosion worked for Oklahoma-based C&H Power Line Construction Services. Fred Haag, the company’s chief operating officer, said the crew followed the proper procedures in locating the line before digging. It used a survey map and made calls verifying the line location, he said. “Even at night, the soles of their shoes were melting because it was still extremely hot,” said Jack Snow, Johnson County’s emergency management coordinator. At least seven of the other 13 workers who had been close to the site were treated at hospitals, mostly for burns to their necks and arms as they ran away from the massive fireball, Haag said. Only one worker remained hospitalized Tuesday, he said. A 23-member crew that had been working in the area for several months was drilling a hole Monday for an 80- to 120-foot utility pole when the gas line was struck and ruptured, sending a massive fireball into the air that burned out about two hours later after the gas flow was shut off. After investigators finish looking over the site, workers will repair the ruptured pipeline, which is expected to take several days, said Houston-based Enterprise Products Partners LP, which partially owns the 36-inch-diameter line. It is a 395-mile segment of a pipeline extending from western to eastern Texas, the company said in a Tuesday news release. All of this comes back to our reliance on fossil fuels and regulation. Whether it’s oil, coal, or even natural gas, there are inherent risks in extracting these fuels from the earth and dangerous, toxic emissions that come from burning them. To date, no one has been killed in a “wind spill” or “solar spill.” We ultimately need less of the fossil fuel resources, no matter their source, and more renewables. Oftentimes small government advocates and conservatives warn against regulation because of the cost it can create. We never advocate for regulation merely for the sake of regulation, but we NEED smart regulation that places a premium on human life and quality of life over the search for more corporate profits. All of these stories have this theme in common: common sense regulation through a smart regulatory agency, which is something we have lacked from TCEQ.